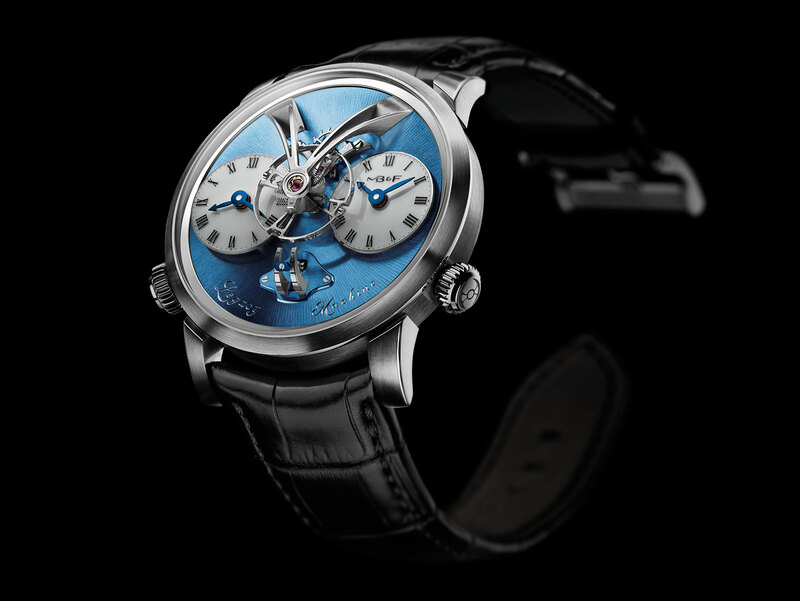 The MB&F Legacy Machines combine retro-steampunk aesthetics with lovingly finished movements, and now the very first watch of the series, the LM1, is available in platinum with a bright blue dial in a limited edition of just 33 pieces. Last year MB&F presented the second Legacy Machine with twin balance wheels, including a limited edition in platinum of just 18 pieces. 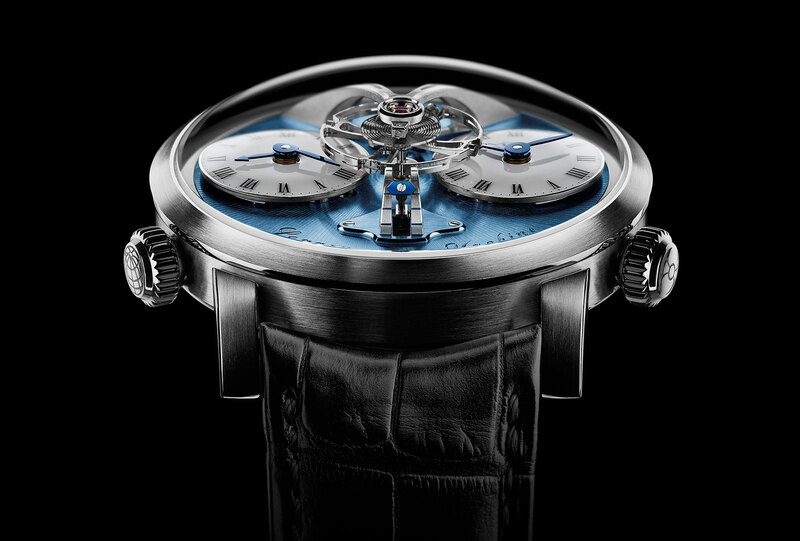 Despite costing over US$200,000, the electric blue dial of the platinum LM2 proved popular and sold out quickly. Now MB&F has applied the same formula to the first watch in the Legacy Machine series, the dual time zone LM1 in a limited edition of 33 pieces, priced at half its more expensive cousin. The new LM2 in platinum has a blue dial in a shade so striking it is unmistakable on the wrist; naturally it is the exact same colour as the platinum LM that proved surprisingly popular despite the price. Dial and case material aside the platinum LM1 is exactly the same as the gold versions. 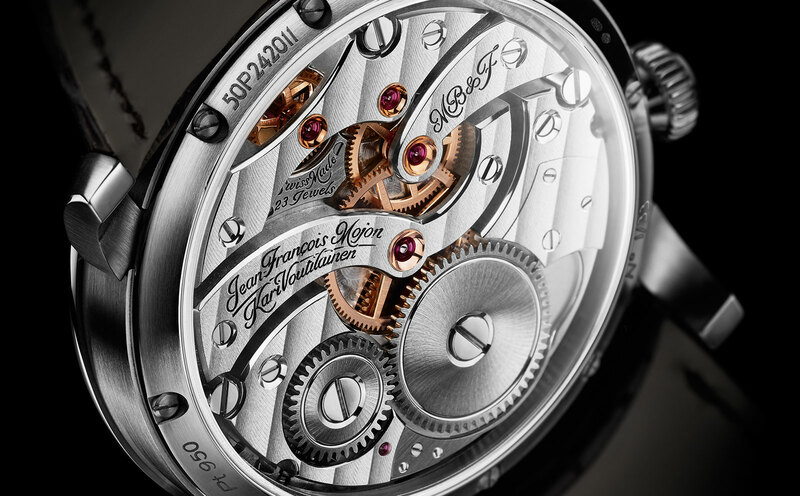 The case is 44 mm in diameter and 16 mm high, hefty in gold and even more so in platinum. 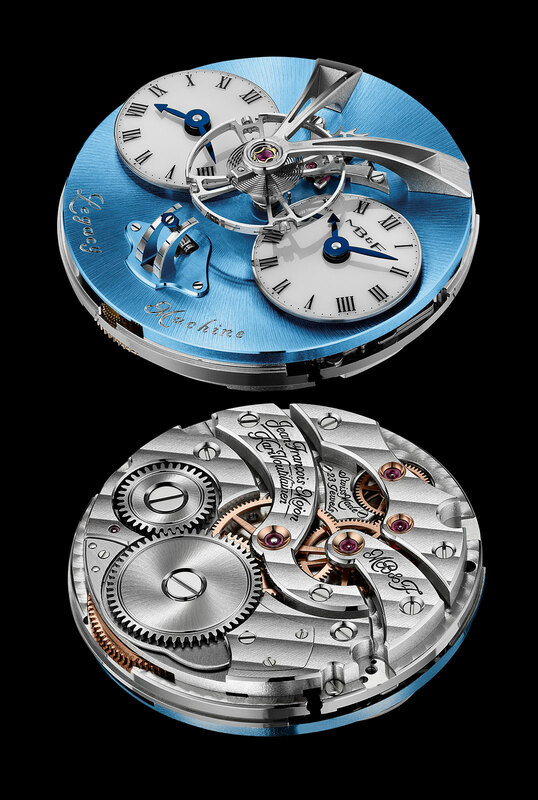 Much of the height of the case is due to the large, domed crystal that provides a panoramic view of the oversized, 14 mm balance wheel and vertical power reserve indicator. Turn it over and the movement – constructed by Jean-Francois Mojon of Chronode with the finishing devised by Kari Voutilainen – is impressively decorated with sleekly shaped bridges and large gold chatons. 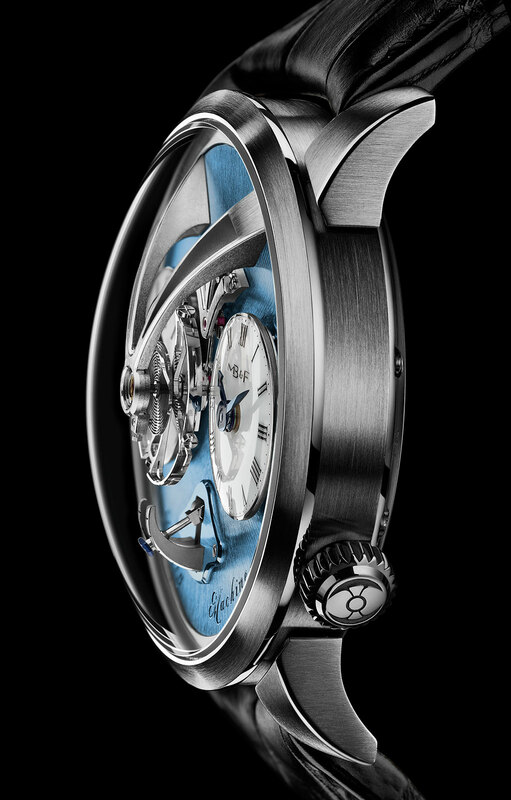 The platinum LM1 is limited to 33 pieces and priced at 98,000 Swiss francs before taxes, with the US retail price being US$114,000.